Travel Guide with beautiful photos and exciting descriptions of the most amazing and unique places in Baltic states and Europe. A fire of Notre Dame De Paris cathedral on the evening of 15th April 2019, showed how important a famous landmark can be - millions of people followed the unfolding event, world's largest television networks translated uninterrupted reportage for hours. Of course, it was sad to see this beautiful cathedral burning, especially the moment when it's spire fell down... Here a photo from this year's February - Notre Dame from Montparnasse tower, touched by the evening sunlight rays. I wish it to recover (by reconstruction) as fast as possible! 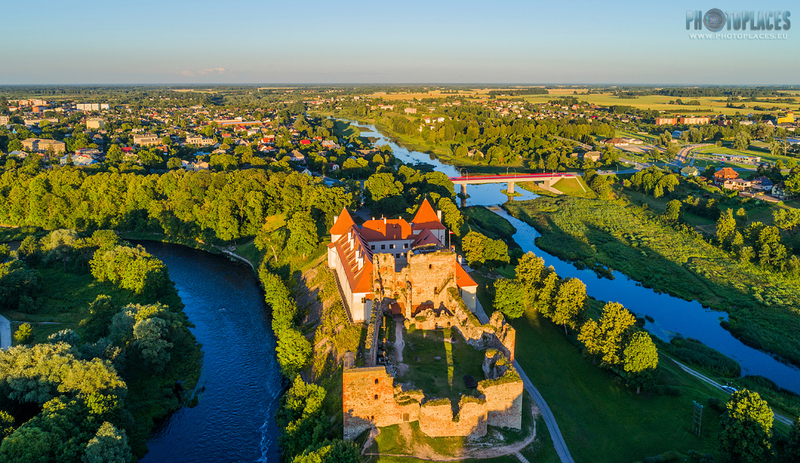 Small Liepa village, located between Cesis and Valmiera towns, could be named as the "capital of cliffs in Latvia". There is not only the easily approachable, well known and interesting cliffs of Liela Ellite (Lielā Ellīte) but a few kilometers further also probably most diverse, unusual and one of the most impressive looking cliffs in Latvia - Licu-Langu cliffs. 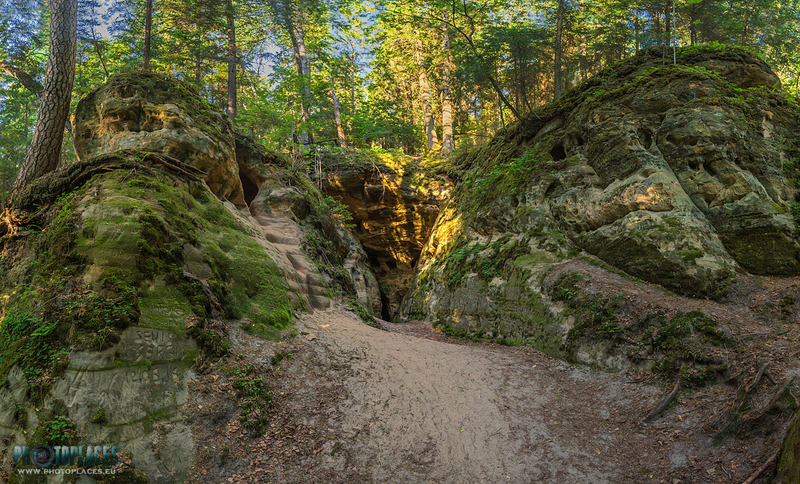 Most cliffs in Latvia are exposed right at the river banks but Licu-Langu cliffs hides inside the forest, about half kilometer away from the Gauja river. In order to reach Licu-Langu cliffs, one has to take about 2 km walk from car parking place in Liepa village. At first the path leads alongside the industrial area of Lode brick factory - this area is interesting and worth-to-see for itself due to unusually colored soil of it's quarry. Then one has to walk through the forest, following the signs, later going downhill (steps are installed there). Below there is a nature trail which leads alongside the cliffs - they're not only in one place but stretched in about a kilometer long distance. This is a beautiful place for active leisure in nature. It requires some physical strength but at the same time it's not too hard - the place has became quite popular and it's not a wild walk anymore, the path is built and it's walkable for an average tourist. Visually Licu-Langu cliffs, as it seems, could fit to everyone's taste. For those whom the scale is the most important thing, they offers until 30 metres high, sleek "walls". 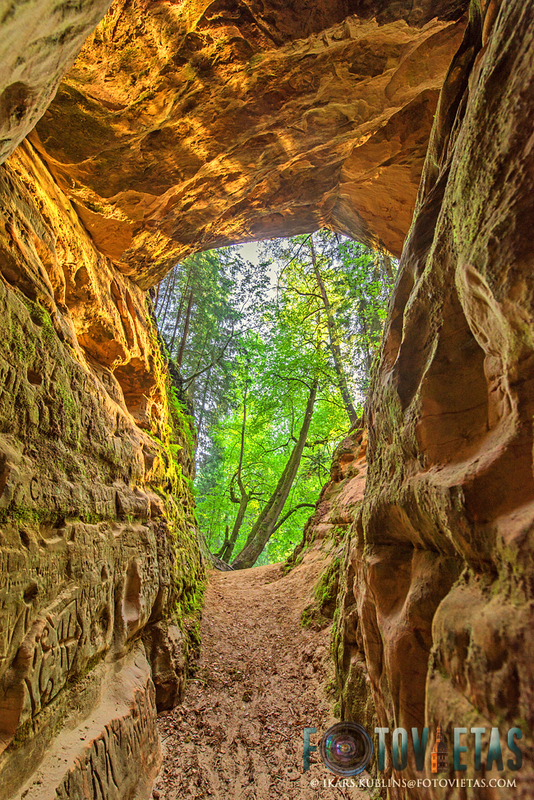 For those who enjoys complex and unusual structures, they reveals peculiar ravines, caves, niches, saliences... It's a photographers paradise which offers countless creative options to frame and compose. No wonder that also professional photographers have started to use this place as a setting for their model photo sessions. It's interesting that adventurous people have visited the cliffs long time ago, and exactly like today's visitors, have left their inscriptions on them. In contrast to inscriptions of later times, the oldest ones which are dated with year 1841 are considered to be historically valuable and preservable. Interesting geological processes are also going on here. The caves and ravines in Licu-Langu cliffs are created by many sources which flows through the cliffs. These springs are very rich with iron and other minerals, and some of the (lower) caves has very interesting colors inside. However it's dangerous to visit them because the caves are unstable - one has already collapsed due to erosion processes. Photo gallery of Bauska, a historical town at the mouth of three rivers, located in southern Latvia, 60 km from Riga. It's main attraction (apart from the unique nature setting) is medieval/renaissance castle, located on a hillfort on the peninsula between Musa and Memele rivers. There is also an Old Town, located at the town's lower part (down hill) with wooden and masonry buildings from 17th-19th Century. Townhall building has been rebuilt in 2011. 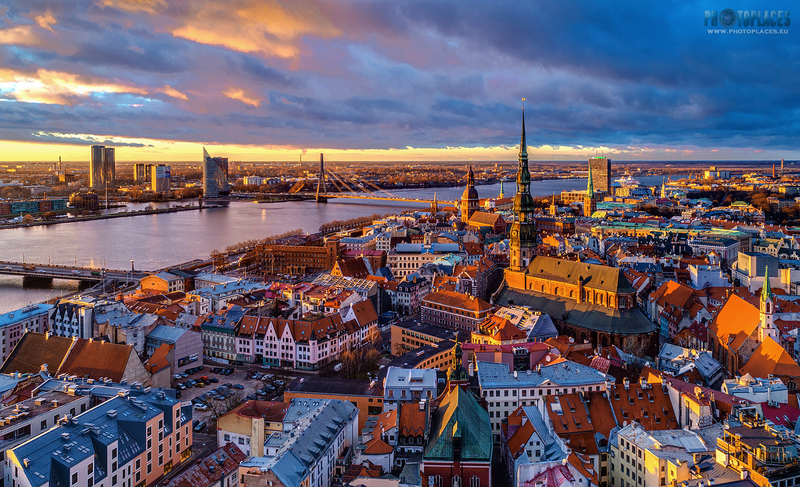 Riga city is divided in two parts, separated by river Daugava. On the right bank of the river, the city's historical core lies with Old Town's church spires close to the waterfront. On the other bank a developing district of modern buildings as 21st Century answer to the Middle Ages. This combination has a "killer" potential - but Riga needs more investments in quality development. Hallstatt is one of the most famous Austrian (and European) small towns and there is a good reason for that - amazing location at the Hallstätter See lake and Dachstein mountain massif of Northern Limestone Alps. 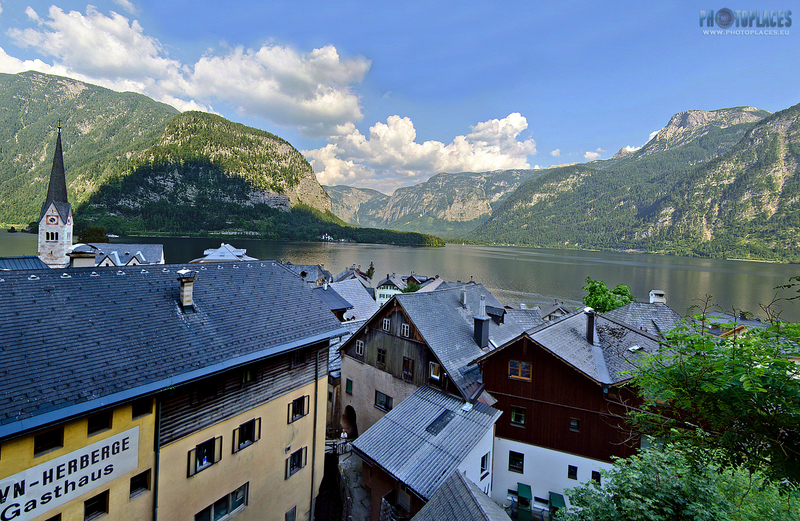 Hallstatt is actually more like a village than town - there lives just about 700 inhabitants. 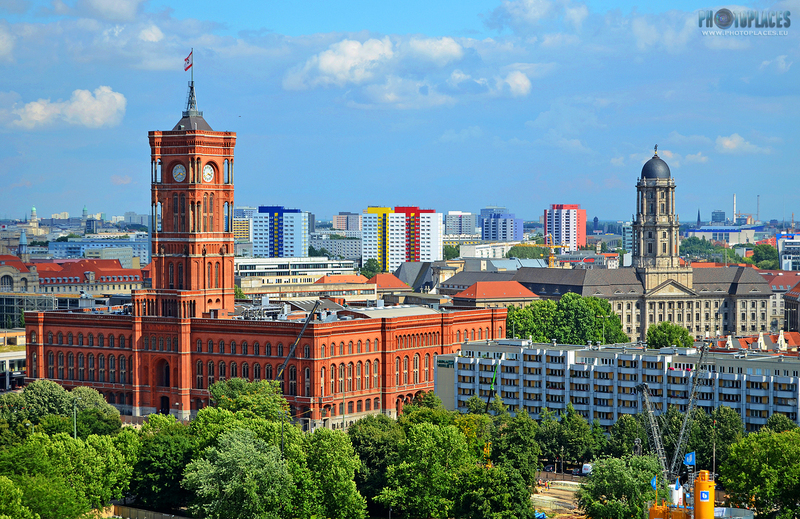 Skyline view of Berlin with two important historical landmarks of the city - Rotes Rathaus (Red Town hall) and Altes Stadthaus (Old City Hall), renovated East Berlin communist buildings (commieblocks) on the background. 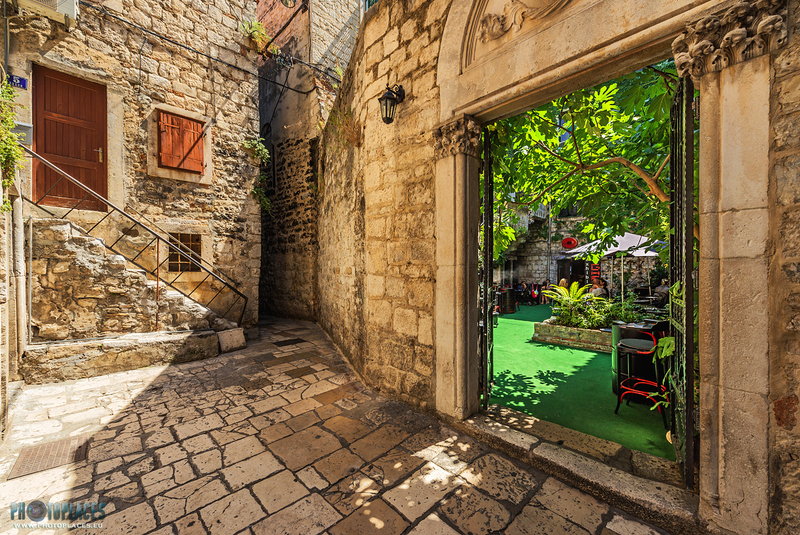 People relax from the baking sun in a cosy green restaurant court yard in the Old Town of Split, second largest city of Croatia.